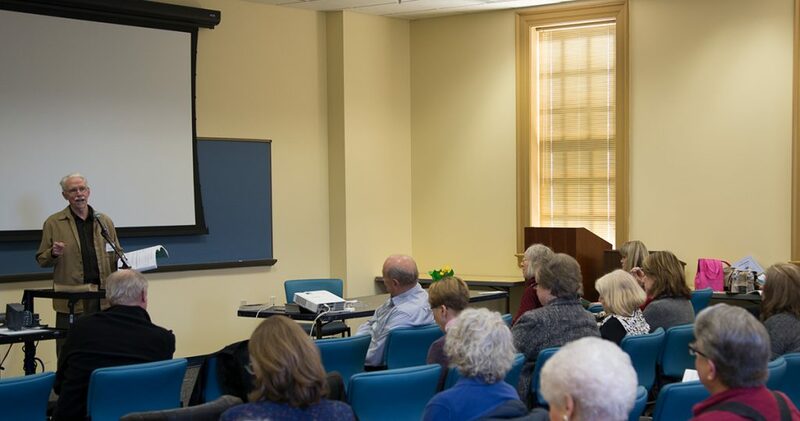 From Wednesday, March 14 to Sunday, March 18, local ministers and believers gathered for Regent University School of Divinity’s “Dunamis Project 3” conference. Sessions, some of which involved teaching, and others, prayer and worship, included “The Holy Spirit in the Ministry of Jesus,” led by the track director of Virginia Beach Dunamis Rev. Frank Drake, “Into the Wilderness,” by Dunamis Fellowship faculty member Rev. Dr. Allen Kemp, “The Ingredients of Prayer,” by Kemp’s wife and fellow Dunamis Fellowship faculty member, Rev. Debbie Kemp, and “Prayer and Spiritual Awakening,” by Doug McCurry, a retired Presbyterian pastor of more than 35 years. “We are pleased to offer Dunamis to our Regent family and Hampton Roads community as some of the best training available in Spirit-empowered life and ministry,” said the conference’s faculty coordinator and School of Divinity Assistant Professor of Theological and Ministerial Studies Dr. Mark Jumper.